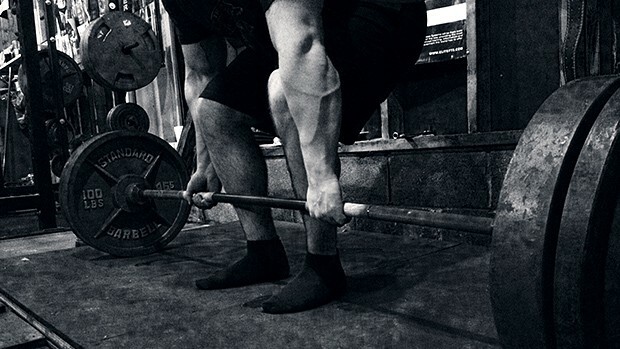 There are three phases to the deadlift: the pre-lift mindset, the approach/set-up, and the actual lift. The harder you squeeze the bar, the more you cue your nervous system. Once you approach the bar, you’ve got to have a ritual, a process, or an outline. Strength is a skill. Every time you approach the lift, you should be robotic. After you’ve done all the prep work, all you have to do is stand up. 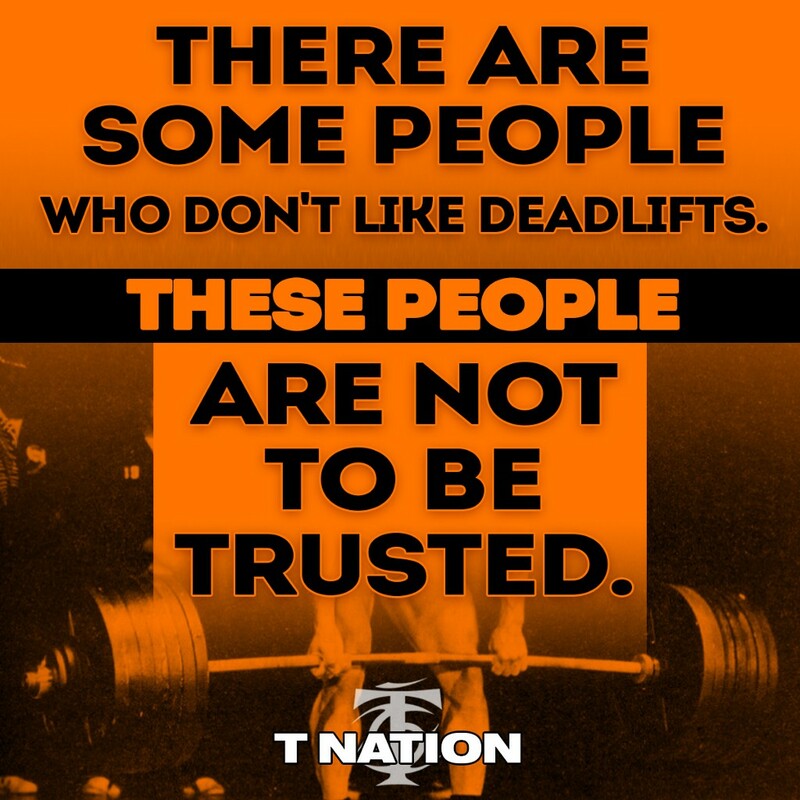 Some people think the deadlift is a primal act. Just grab the bar and rip it from the clutches of gravity. Other people are dedicated technicians. Every tiny detail matters. 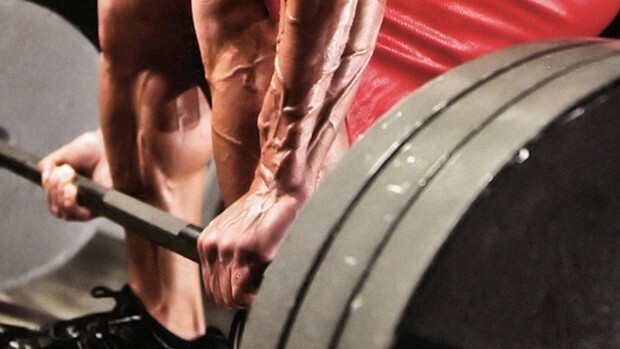 The truth is that the actual deadlift starts long before you grab the bar. As for the details? Well, that depends on who you ask. Fortunately, some phenomenal coaches and lifters were willing to share their insights with you. Years of dedicated training erase the need for the micromanagement of technique. The details eventually get so ingrained that nothing’s left but pure will. Some of these men and women have rituals for approaching the bar or setting up. Some have only one or two important points of focus. Others are simply consumed by the moment. 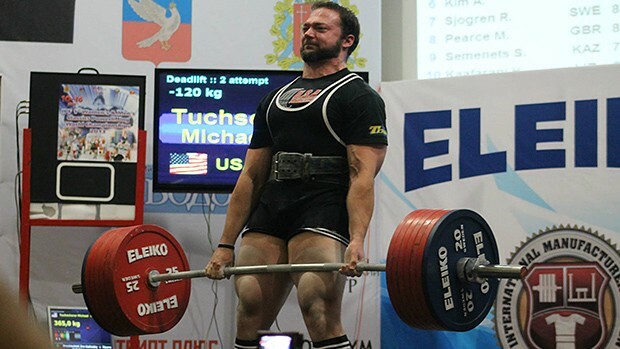 Mike Tuchscherer, powerlifter and strength coach: As I prepare, I put my belt on the same way every time. I always count the holes that I buckle, too. Not because I need to, it’s just become part of the ritual. Then I chalk my hands and begin to pace my breathing. This helps me get in the right mental space. I’d be willing to bet there are some neurological and metabolic benefits as well. Greg Nuckols, strength coach and T Nation author: The bulk of my deadlift setup revolves around shutting my brain off as much as possible. I have one of three songs I put on: Calm Like a Bomb by Rage Against the Machine, Master of Puppets by Metallica, and Bridge Over Troubled Water by Simon and Garfunkel. And no, the last one isn’t a joke. If the crescendo on the final chorus doesn’t get you hyped, you have no pulse. Those are my “triggers” to put me in a dissociative state. From there I’m on autopilot. 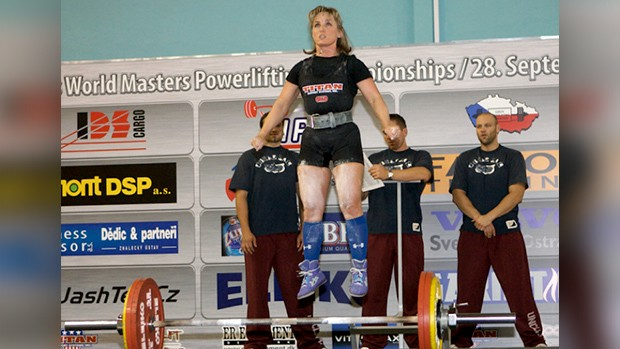 Sioux-Z Hartwig, powerlifting and strength coach: I close my eyes and picture myself doing the lift perfectly before I go up to the bar. I do it at least once or twice in every workout. I also do something very different. Once I’ve walked onto the platform, I close my eyes and slow my breathing down. Then I shout, “You and me, God, let’s go!” I jump exactly three times so that my heart rate goes up a bit. Matt Gary, powerlifting and strength coach: You’ve got to have a ritual, a process, an outline. Strength is a skill. Every time you approach the lift, you should be robotic. Novices lose their mind once we start putting weight on the bar, but my process is the same 100% of the time, regardless of the weight. Obviously, the intention gets dialed up a little bit, but in theory everything should remain identical so that the only perceivable change is the bar speed. Patrik Andersson, powerlifting competitor, coach: Before approaching the bar I’m likely to be listening to something I like, not specifically angry music to psyche me with plain rage. Some tunes will just put me in this almost weird happy-psychotic mood where I’ll just crush the bar “happily.” That mindset makes me entirely oblivious to my surroundings. There’s no hyperventilating, shouting, or general rummaging about. I can’t see, I can’t hear. I just silently approach the bar feeling like a relaxed and very dangerous weapon. I truly feel like I’m in a trance. Coach Vince Anello laughed when I asked those questions. He slowed me down and redirected me to think about mental preparation. I didn’t get it at 18 years old, but as I started to go to more meets, some of those things started to make more sense. He gave me homework to do. We’d just sit there at the gym and go through mental imagery before the big meets. You smell the chalk, the bar, and the people around you. This is the pre-ignition sequence. Some lifters have more steps, some have fewer. Almost everyone has a highly consistent process that removes the need to question or re-examine. They put themselves in a position to be successful before the bar even moves. Mike Tuchscherer: The first thing I do is set my feet. I set my stance width and distance relative to the bar by looking down at my shoelaces. Once I have that established, I find a spot on the floor to look at during the rest of the setup. Then I flex my legs and hips a bit to keep the blood flowing. I’m still doing my paced breathing. I’ll take one more fairly deep breath and then grab the bar. First the right hand, then the left. It’s important to grip the bar in the right place. Too deep or shallow in the hand will lead to grip problems. Once the grip is set, I do my trademark three-pressure breaths. I drop my hips a little more with each of these and pull a little tighter with the lats. People often ask why I breathe like that. I don’t know for sure, but I can tell you that I get tighter when I do it. So I do it. Then it’s one final big breath in. Now I begin dropping my hips into the start position and put my knees over the bar a little. I’m also flexing my lats (with elbows straight) to keep the bar in tight to my body. This start position allows me to take advantage of my strong legs to get the bar moving. The bottom position is one where the knees, hips, and back are all in the correct position, with a full breath of air and the lats locked down hard (no way you’re locking down hard enough already). This position should pull the slack out of the bar. Greg Nuckols: I approach the bar, set my grip, roll it in front of me, and roll it back toward my shins. The roll doesn’t actually help me lift more weight, it’s just one more thing to keep me from second guessing myself and it forces me to commit to the pull. When the bar gets in the right position, I have to pull, not wait to take another breath or raise and lower my hips one more time. Sioux-Z Hartwig: The jumps I do get a pump in my legs, which is important because there’s no pre-loading, unlike a squat where you can feel the weight on you before you have to move it. Now as I step, I flex my quads to prepare my legs for getting tight. I set my feet just outside of the knurling. Then I tighten my legs. I come down until my shins touch the bar. Almost a plié out. My arms are straight down and I grab half the knurling and half the steel, then squeeze my shoulder blades together and push through. I take a deep breath and tighten my stomach and my back right before I bring myself down. When I get my hands down to the bar, I take my breath as I squeeze my shoulder blades back. While I cue most people to squeeze their shoulder blades down and together, this position gets me a little too far back. I’m already back, so instead I squeeze my arms up and against the sides of my lats. It’s like I’m taking my biceps and squeezing them up against the side of my body. Then I just take a deep breath and brace against my belt. One breath before, one breath during. Once I get set, it’s one deep breath and go. That’s always the case. Matt Gary: I set my feet. Roughly a vertical jump stance with my toes turned out ever so slightly. Out of habit, I set my left foot first and my right food second. The floor looks like the face of a clock. I set the feet somewhere between 11:00 and midnight and midnight and 1:00. I’ll also make sure that the bar is over the middle of my feet. I can always look down at my shoes and tell exactly where the bar is supposed to be. I wear weightlifting shoes with the heel removed. They have two straps. I know that I need to position the bar just above the second strap. For some people, it might be the knot in the laces. I want the absolute epicenter of the foot. I partially inhale. For the past few years, I’ve been lifting without a belt on because I feel less obstructed. I bend over and begin to set my grip. I set my right (dominant hand) and then my left, supinated hand. My hips are still up in the air when I’m doing that. It’s a common mistake to drop the hips first. I start to squeeze the bar and generate more tension with my grip. As I dig my hand into the knurling, the tension grows. My hips are still high and I take three pressure breaths. This cues me to get that whole trunk tension. It’s building through everything. After the third breath, I simultaneously pull all the slack out of the bar as I pull myself forward. I start to really intensify my grip as I get those pressure breaths. The only thing connecting you to the bar in the deadlift and bench is your hands. You need to death-grip the bar. The harder you squeeze the bar, the more you cue your nervous system. I contact the shins with the third breath and at that point I’m as tight and hard as I can possibly be. When the shins reach the bar, I know that my scapulae are going to be right over the bar. At that moment I’m trying to get my back into as much extension as possible. Once I’ve achieved that state, I know that everything is locked in and it’s time to go. You don’t want to rush that but you don’t want to wait too long, either. If you rush it, you wind up being too loose and there’ll be slack in some link of the chain. I know it’s time to go when I feel like a time bomb ticking. 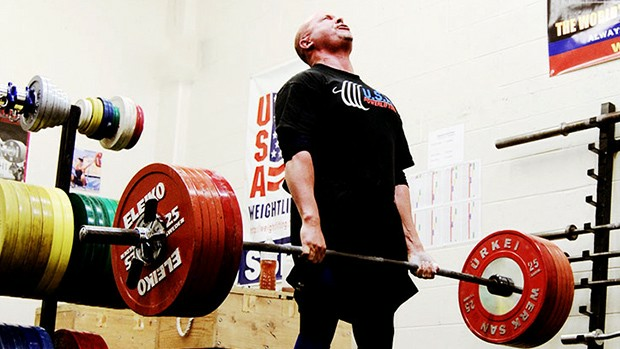 Patrik Andersson: The deadlift is a different beast because it’s nailed to the floor. As such, you’re going to have to apply a “keep hands on burning hot plate” attitude. I take my time, approach the bar, assume the correct stance, set the correct foot angle, and rotate the shoulder blades back, out, and down. I then extend the elbows and inhale to about 80% of capacity. I swing the left arm down to the middle of the bar and drag myself down, making sure to grip the bar with right and left hand perfectly. I break my hips down and in, so that I’m sitting and ready to start. This takes a few very long seconds but if I don’t get it perfect, the bar won’t budge. This position really is excruciatingly uncomfortable in a suit. Then I unleash, and the power is very intense and, in a sense, uncontrollable in the very same way that throwing up is. I just get a super contraction that takes me for a ride. Jeremy Hartman: Finding the perfect position is key. I walk up to the bar and get it over my shoes. I bend over and I know it looks like I’m a little rounded at the top. Everything feels perfect in that position, though. Then I grip the bar and pull the slack out. There’s always a little bit of bend. We use stiff Eleiko bars but you can always pull slack out. I wiggle my shoulders and get my breathing under control. I jam my abs into my belt. That gives me the first few inches of the deadlift. I push my abs to get the bar started. The last thing is the breathing into the belt. When you push into the belt and the belt pushes against you, you’ll get that pop. Sioux-Z Hartwig: I explode, but it might not look like I’m exploding. There have been times when it’s taken me six seconds to get it off the ground. Matt Gary: I tend to be more on the slow methodical side. I just do the job, and if I do my job, there’s a very high probability that this lift will be successful. Patrik Andersson: It’s gonna happen, it’s just about to happen, this is it happening and… it’s done. I’m in the zone for a good minute or two.